This 2 oz. stick is preferred by many for quick application and how easy it to carry in diaper bags, purses and backpacks. Especially useful for preventing and treating windburn, razor burn and as a hair pomade! Scent: Lullaby Baby is a gorgeous, soft, irresistible designer baby fragrance! It's a tribute to the softness and innocence of babies. 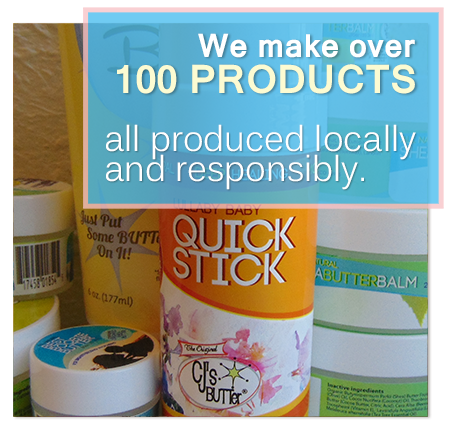 *Note* Only the name & label have changed, this is the same formula you know and love that was previously called CJ's BUTTer® Stick. Package Description: 2 oz. twist up stick with twist on/off lid. Directions: Apply liberally to affected area. Warnings: For external use only. When using this product avoid contact with eyes. Contains: Nuts (Coconut Oil) and Soy (Tocopherol) *These statements have not been evaluated by the Food and Drug Administration. This product is not intended to treat, cure, diagnose or mitigate the symptoms of any disease. After one use it took our babies diaper rash almost completely away! After the second use it was completely resolved and you could just tell how much more comfortable she was. We use this product daily and at almost every diaper change and she hasn’t had even a hint of red skin since. When we run out we will definitely be purchasing more!